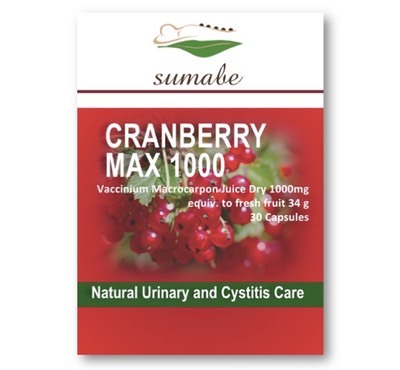 Sumabe® Cranberry Max 1000 contains a concentrated, high potency cranberry extract that may help to reduce the frequency of recurrent cystitis. It helps mask urinary odours associated with incontinence. Sumabe® Sumacyst contains active constituents called proanthocyanidins which have been found to discourage bacteria from sticking to the bladder wall. 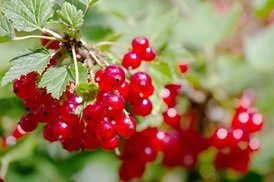 Cranberry has also been useful for reducing urinary odour associated with incontinence. Adults – Take 2 capsules daily, with meals, or as directed by your healthcare professional.